Chestnut Hill College | Graduate Philadelphia! Finish your degree at Chestnut Hill and receive personal attention and small classes in an accelerated format. Since its inception, Chestnut Hill College has offered a rigorous liberal arts education that provides students with a broad background in the humanities, social sciences, and natural sciences. The goal of Chestnut Hill College is to prepare students for life’s challenges by helping them to grow intellectually, spiritually, emotionally, and socially. Chestnut Hill College’s Accelerated Adult Degree Program is designed to help working adults continue their education. The program offers Bachelor’s and Associate’s degrees in addition to a certificate program in Digital Forensics with convenient course schedules. Students in the Accelerated Adult Degree Program have access to support services that are offered to meet the needs of the adult student population. Frequently used services include: student financial services, academic advising, a math center, a writing center, career development, a counseling center, a tutoring center, Smarthinking online tutoring, computer labs, and the Logue Library — which can also be accessed online. Student services are available in the evenings, on weekends and by appointment. Our Smarthinking online tutoring currently offers 24/7 academic assistance. All classes in the Accelerated Adult Degree Program are conducted in eight-week sessions that meet once a week. Classes are held in the evenings from 6:00PM–10:00PM, on Saturday mornings from 8:30AM–12:30PM, or Saturday afternoons 1:00PM–5:00PM using a traditional classroom environment and/or a hybrid format. The hybrid mode of delivery integrates traditional classroom lectures, discussions, exercises, and experiential learning with online instruction using Blackboard software. 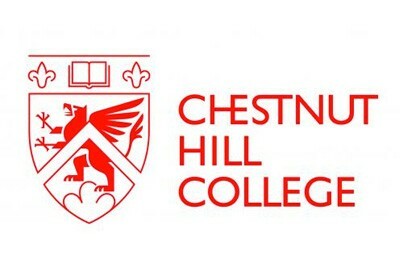 For our students’ convenience, Chestnut Hill College offers accelerated degree courses at five locations: the main campus in Chestnut Hill, Father Judge High School in Northeast Philadelphia, Bonner Prendergast Catholic High School in Drexel Hill, and Montgomery County Community College in Pottstown and Blue Bell.